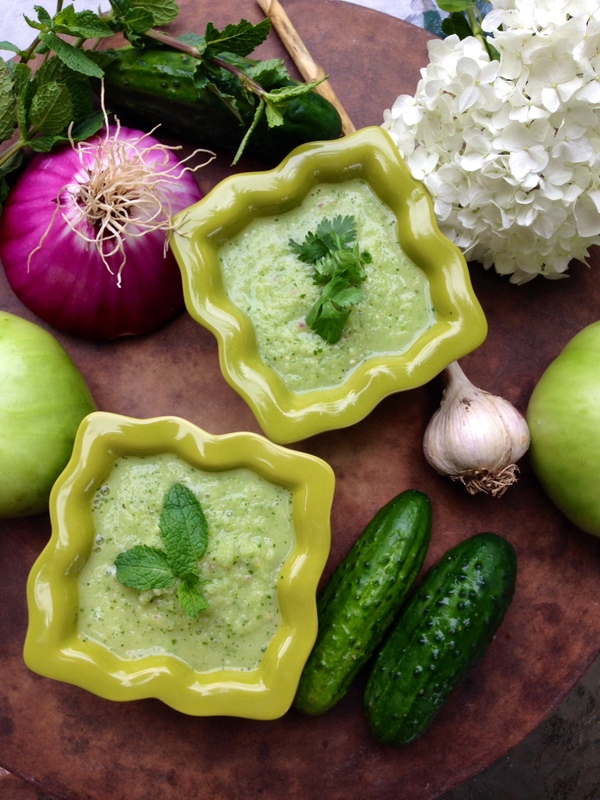 Wondering what to do with your green tomatoes from the market? Why not keep summer alive (can you tell I’m desperate to do so?) and just blend them into a zingy Gazpacho soup? FYI, green tomatoes are simply under-ripe “end-of-the-season” red tomatoes that only ask to be made into something delicious. Hear my plea, leave no tomato behind. 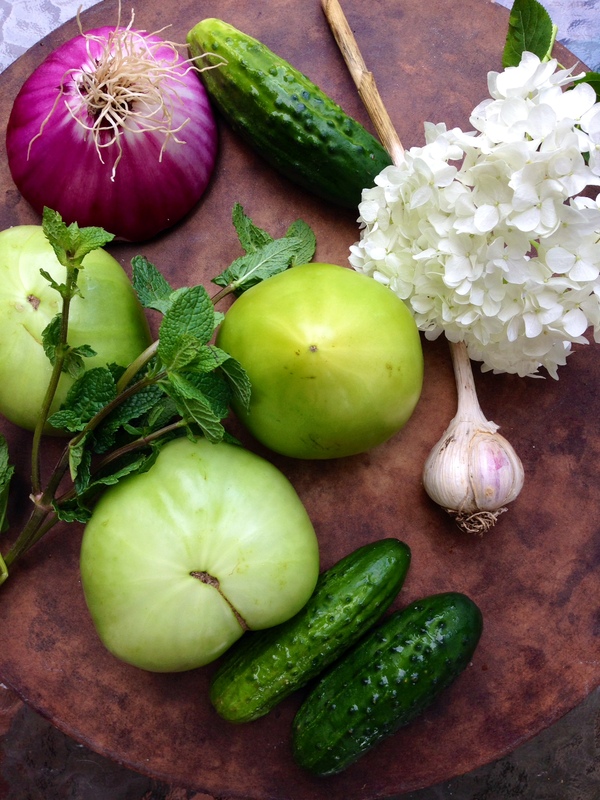 Green tomatoes can be made into salsa verde, added to salads, soups, pasta dishes and curries, lightly fried for a Southern-style recipe, pickled or added to pasta sauces. I should mention that they are less sweet than red tomatoes. Not only do fresh herbs add instant freshness and flavour, they also reduce the need to add salt for taste. Basil is the predominant fresh herb, coriander adds a citrus-y touch, mint adds a cool as a polar bear taste while parsley adds an agreeable grassy bite. If “Menthos, Le Freshmaker” were a soup, it would be this soup. 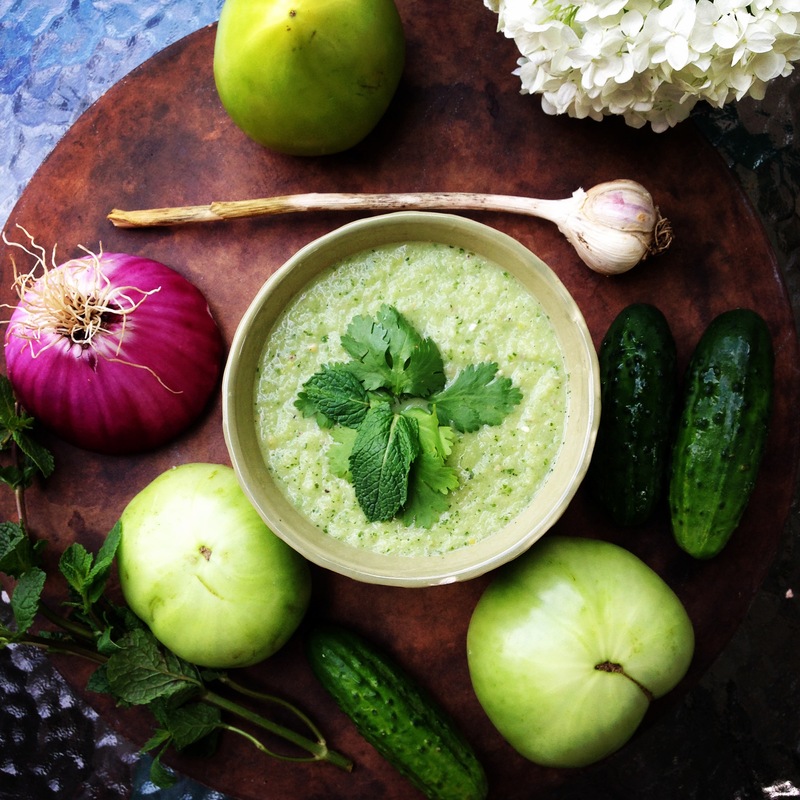 This gazpacho is high in chlorophyll, which helps keep your blood pH optimal and keep inflammation levels in your body low. Taste before adjusting salt and pepper to your personal liking. Pour into serving bowls and enjoy the slight chunkiness of this sopita!